We’re happy to announce that we’ll be holding our 2018 Exchange Annual Meeting this spring in Washington DC! The Annual Meeting will be hosted by the DC Department of Energy & Environment, with support from DC Water. Thank you to both of these member agencies for graciously volunteering their time and energy to make this event possible. Please look out for an official Save the Date, which will be announced soon on our website and through a network-wide email. In order to ensure that the Annual Meeting is designed by and for our members, please take our 2018 Annual Meeting Content Survey. This survey allows members to prioritize learning topics, volunteer as presenters, and share their preferences for meeting formats. The last day to complete the survey will be January 12, 2018. 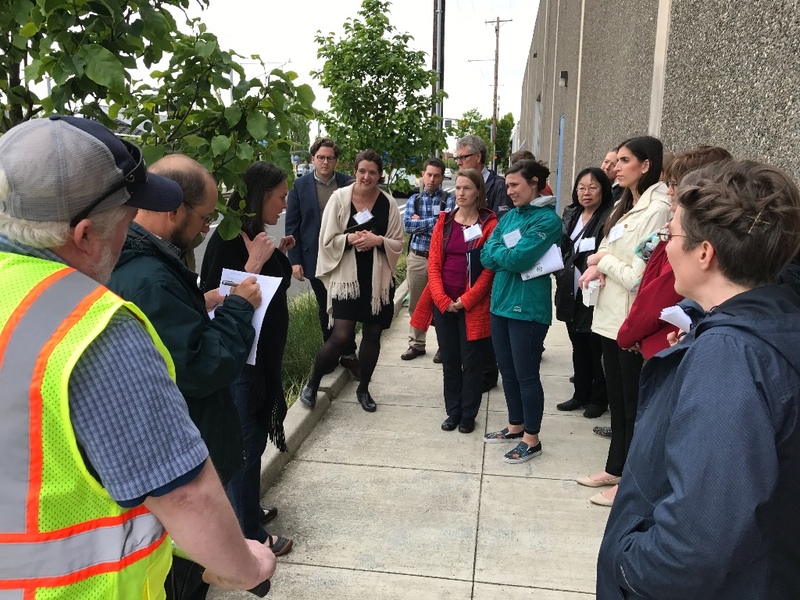 Attendees of the Green Streets Maintenance Tour during our 2017 Annual Meeting in Portland, OR.